This straight-fit Hooded jacket is crafted in a Cotton Blend for softness & comfort. Features and embroidered BOSS signature logo. The HUGO BOSS Zip Through Hooded Jacket is a refined, lightly detailed loungewear essential by BOSS Menswear. Welcome this fresh, authentic option into your collection for laid-back style. 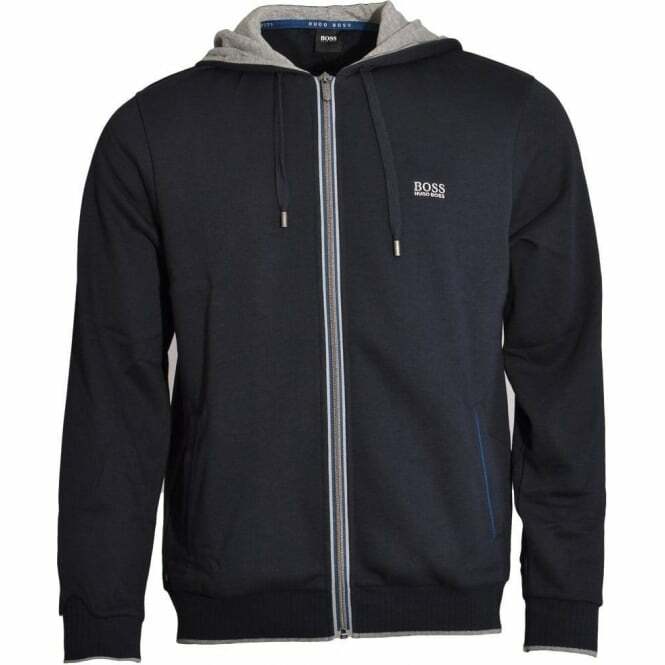 In this range we have a Dark Blue HUGO BOSS Cotton Blend Zip-through Hooded Jacket. These are available in multiple sizes ranging from size Small to Extra Large.